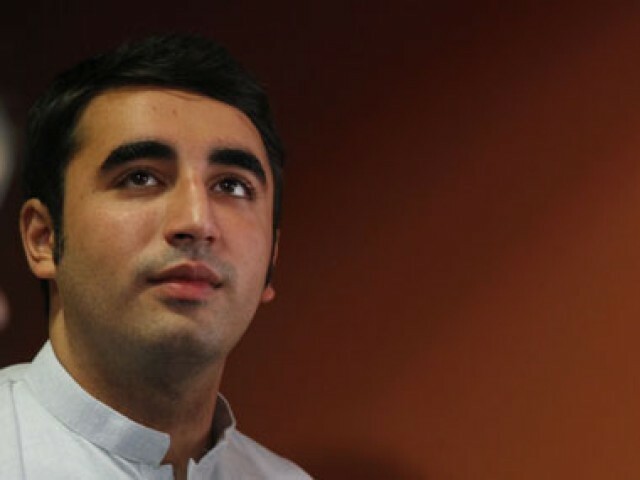 Bilawal goes strict on Punjab government, lambasted Pakistan Muslim League (PML-N), saying that the people of Punjab are being ruled by the firends of dictators and of terrorists. Addressing Party Workers Convention at Bilawal House, PPP chairman Bilawal Bhutto Zardari said the incumbent government has handed over Lahore, which was bastion of democracy, to the friends of extremists. He said the incumbent rulers in Punjab have snatched livelihood from farmers and laborers and PPP stands with them. He said today the farmers in Punjab are forced to throw their potatoes on roads because neither province’s rulers are ‘khadim’ (servants) nor ‘ala’(great). Bilawal said the incumbent rulers could not make the 200 million people of the country fool with metro bus system. He said not the metro bus but introduction of fair and equitable policies is the only route to development and prosperity in the country. Across the world subsidy is provided to the farmers but PML-N government robbing them. “Farmers are committing suicides and setting their own crops on fire as they are not being paid the due return of their hard work by the government,” Bilawal added. Bilawal Zardari claimed his party always provided urea and power to the farmers on subsidized rates during its government and paid them well of their produce. PPP chairman said that the government has not provided the benefit of reduction of oil prices in international market to the people and imposed Rs. 23 tax on petrol and Rs. 30 on diesel. Bilawal added that traders are also staging protests against the government for imposing withholding tax. During the election campaign, Punjab Chief Minister Shahbaz Sharif had promised to end load shedding in six months and change his name if failed to do so. He said now with which name he should call CM. PPP chairman said the cost of Nandipur Power Project has increased to Rs81 million from Rs22 million but it hasn’t started generating electricity. He said why Federal Investigation Agency (FIA) is hesitating from launching a probe into the case. Speaking about Zarb-e-Azb, Bilawal said it was actually launched seven years ago when PPP government had conducted a successful operation against terrorists in Swat and Waziristan. He said at that time, PPP was in favor of crushing the terrorists with force but the incumbent rulers were holding talks with them. Seems Bilawal is getting more power for being in the long run of politics and this is all part of his training to lead the party. Though nation is quite done with hereditary political culture but it does not seems to end sooner.